Alter The Press! 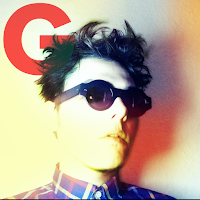 : Gerard Way Releases Debut Solo Single "Action Cat"
Gerard Way Releases Debut Solo Single "Action Cat"
Former My Chemical Romance frontman Gerard Way has released his debut single "Action Cat," which can be streamed below. The track is taken from the singer's upcoming solo album, that drops this fall.